The Third Annual Art for Autism presented by Ella’s Hope will be held on OCTOBER 11th, 2014 at Hook Gallery and Framing in Westport. We have had much success with the first two shows and we hope this year’s is the best yet! Artwork by individuals with autism will be on display as well as other local artwork from Hook. Heavy hors d’oeuvres will be served and there will be plenty of cold beverages! We are holding a silent auction during the show with many great items from KC for sale, including a pair of Southwest Airline tickets, Royals, Chiefs, Sporting KC, MIZZOU and KU memorabilia, locally hand-crafted jewelry, Arbonne and lots more. This is always a fun, festive night to celebrate and raise awareness and resources for families in Missouri that are affected by autism. 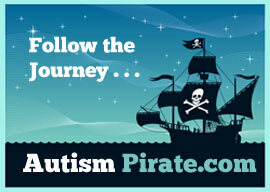 Please consider lending a helping hand in the fight against autism and buy your ticket today!